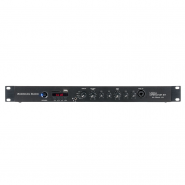 10 Mic preamp inputs, 4 mono line inputs 4 Stereo line inputs PRO DSP FX onboard with 16 presets Stereo recording and pla..
5 channels / 9 inputs 1 mic + 4 line + 2 aux + 2 aux/phono USB - SD player Large LCD display Pitch +/-4, 8 and 16% Se..
Versatile 2-channel table top mixer featuring 5 inputs, MP3 USB & SD ports. 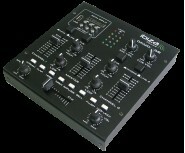 It is fitted with: MP3 controller with EQ 2.. The L-PAD USB Player/Recorder Card MK II is an optional card designed for installation on all L-PAD mixers that are provided with ..
An MP3 player can be added to your L-PAD mixer by installing this intelligent card in its dedicated slot. Place your preferred MP3.. The BLUETOOTHTM CARD can be connected to any BLUETOOTHTM device, such as smartphones or tablets and your playlist will be reprodu.. 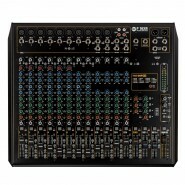 Rack Mount accessories for mixers L-PAD 12C and L-PAD 12CX. ..
With six transparent sound mic inputs, four stereo line inputs and the 2tk in/out L-PAD12CX is the ideal tool for small band gigs,.. The American Audio, Media Operator BT is a fast, simple and reliable all-in-one MP3/Bluetooth media player designed for permanent .. 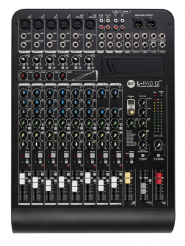 Introducing the next level in world-class non-powered mixer performance. 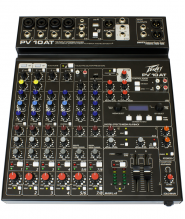 The all new PV® series mixing consoles include Peavey.. 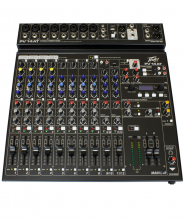 The all-new PV® 10 AT mixers come equipped with Antares® Auto-Tune® pitch correction, a technology that can literally help any.. 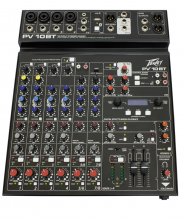 The all-new PV® 14 AT mixers come equipped with Antares® Auto-Tune® pitch correction, a technology that can literally help anyone ..
Overview Equipped with Peavey's reference-quality mic preamps that spec in at an incredible 0.0007% THD, the PV 6 BT mixer is e.. Convenient connections—plus a stereo Bluetooth channel—add true versatility. 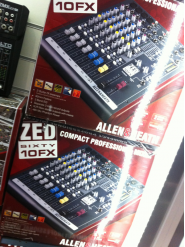 The Alesis MultiMix 10 Wireless is redef..
Live or in the studio, ZED60-14FX is a compact, portable mixer that is ideal for small bands. 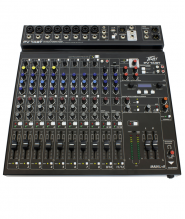 This mixer is a guitarist’s dream..
ZED-22FX is ideal for groups who need to travel light. Featuring configurable USB audio in/out makes it easy to capture stereo rec..
Live or in the studio, ZED60-10FX is an ultra-portable mixer for solo artists and small bands. Based on our top selling ZED-10F..